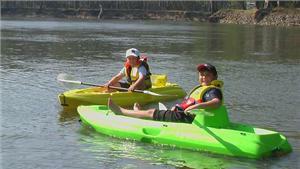 Take a Kayak down the beautiful Murray River and enjoy the tranquility, amazing scenery and bird life that it has to offer. Cost is $35/Kayak. Includes all safety equipment and pick up and drop off.